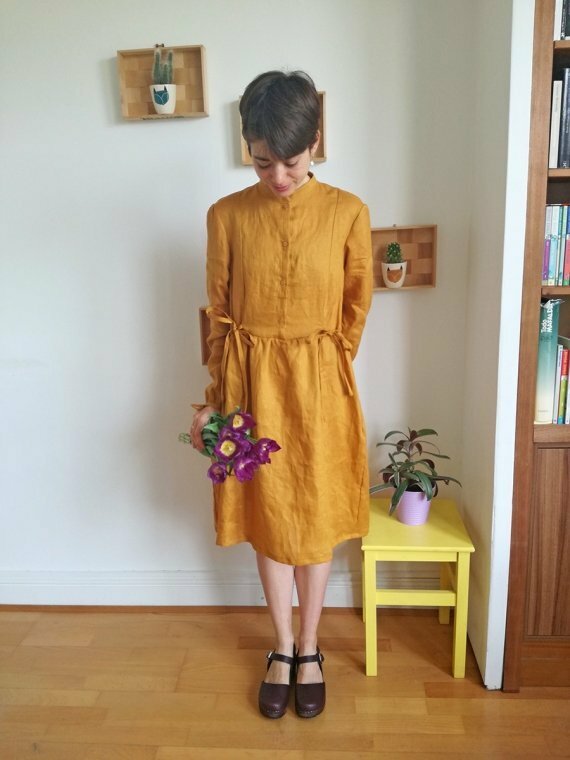 Sister Mintaka presents the Honeycomb Shirt and Dress by Cocowawa. Honeycomb is a loose dress or shirt which can be fitted with waist ties. 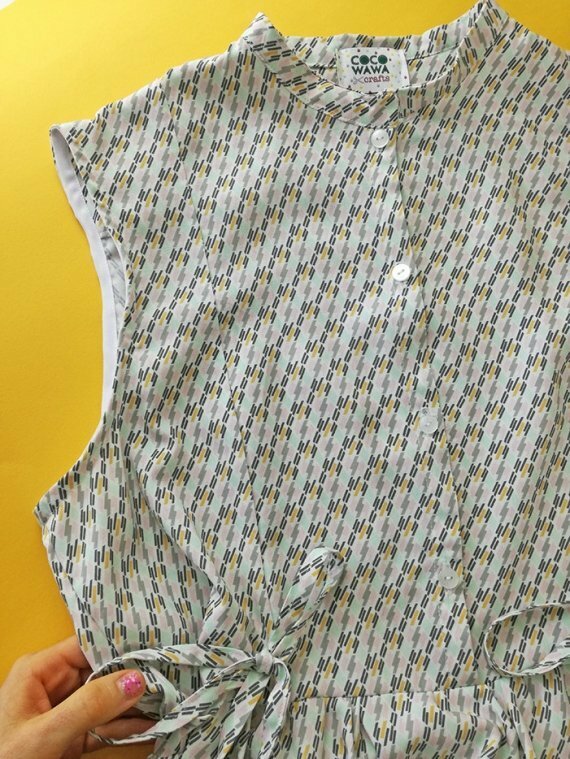 The Honeycomb features a front button placket, stand up collar and there are 6 different versions to choose from. 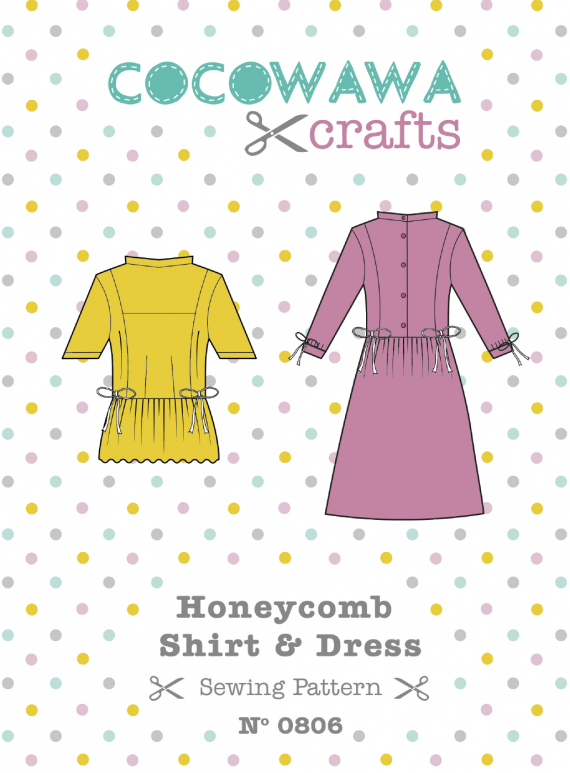 This Honeycomb pattern is perfect for beginners who want to up their sewing game, by stitching buttonholes, sewing a stand-up collar or learning about the ‘burrito technique’. 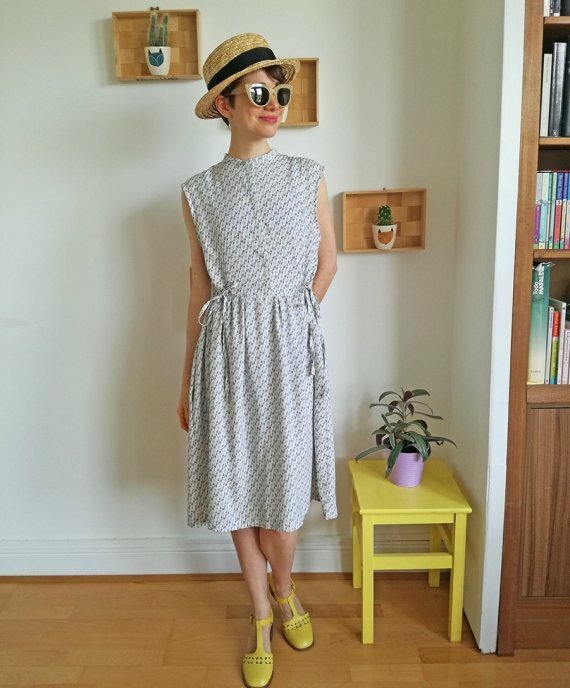 It will be an easy sewing pattern make for intermediate and confident makers. 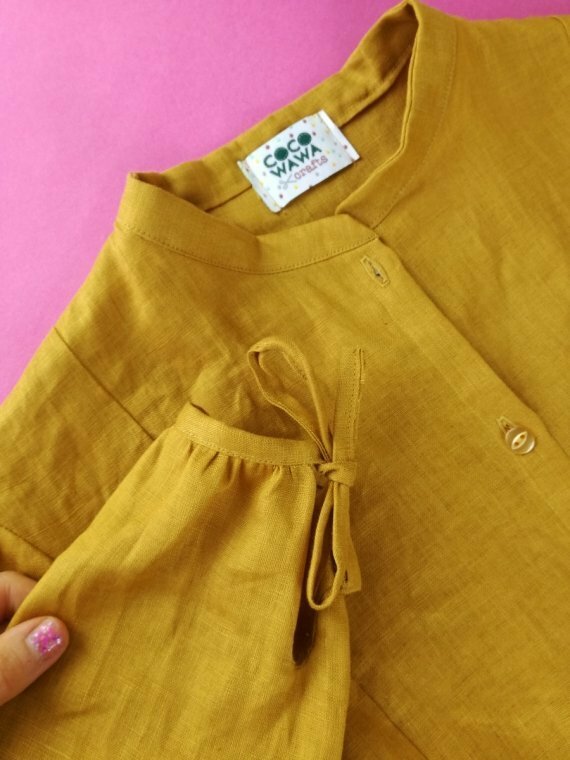 The dress comes with inseam pockets and the shirt is finished with a bottom gathered peplum. 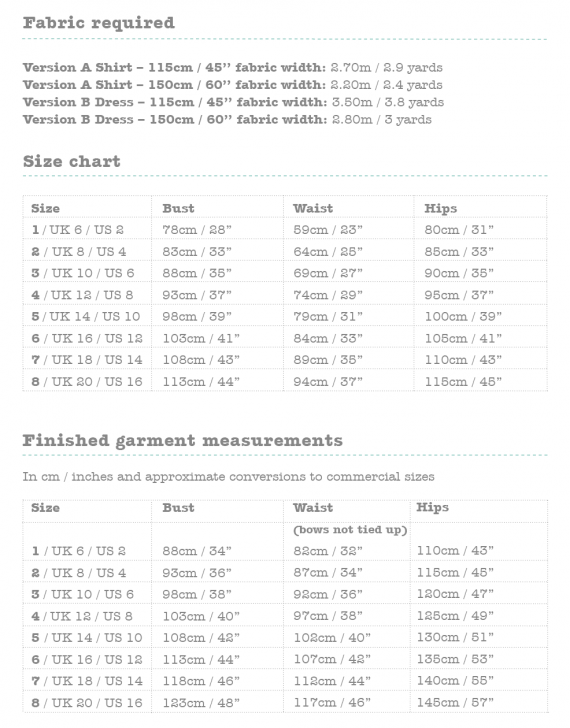 There are multiple sleeve variations, including, long sleeve, short sleeve and sleeveless options.